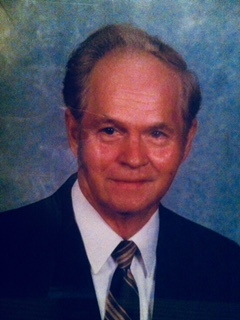 Willie Lee Guthrie, Jr., age 84, of Lawrenceburg, TN passed away Thursday, November 29, 2018 at NHC Healthcare of Lawrenceburg. He was a native of Tuscumbia, AL, and retired supervisor from Murray Ohio. Mr. Guthrie served his country honorably in the Army National Guard. He was preceded in death by his father, Willie Lee Guthrie, Sr.; his mother, Maggie Sue Clayton; one sister, Connie North; and one son, David Wayne Guthrie. Arrangements are being handled by Neal Funeral Home, 231 N. Military Avenue, Lawrenceburg, Tennessee. The family will receive friends from 1:00 PM to 3:00 PM Sunday, December 02, 2018 at Neal Funeral Home. Funeral services will be conducted at Neal Funeral Home at 3:00 PM Sunday, December 02, 2018, with Bill Brazier officiating. Interment will follow at Lawrence County Memorial Gardens in Lawrenceburg, TN with full military honors.